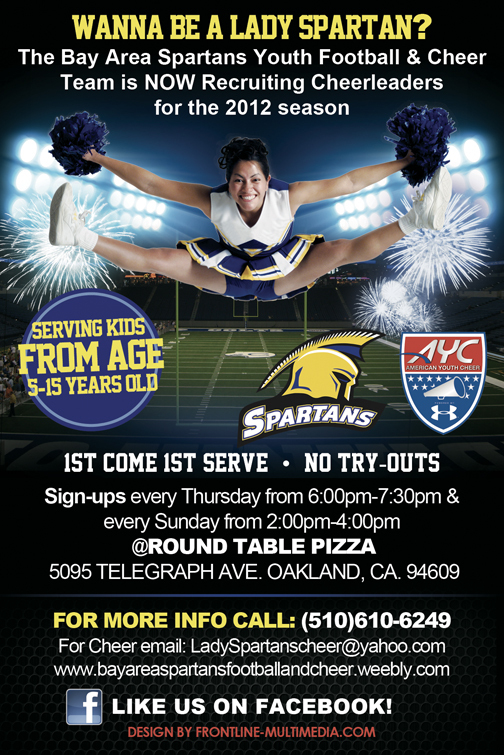 Welcome to the Bay Area Spartans Cheer and Dance Team. Our goal is to offer your child the experience of a lifetime while helping exceed his or her personal and athletic potential. Participants are given quality training and overall exposure in todays performing arts, stunts and dance. We strive to teach self- discipline, self esteem, teamwork, and how to be high achivers. We hope to not only develop the best team possible, but to also instill positive qualities for their future.